How to cite this product: Catalyst. 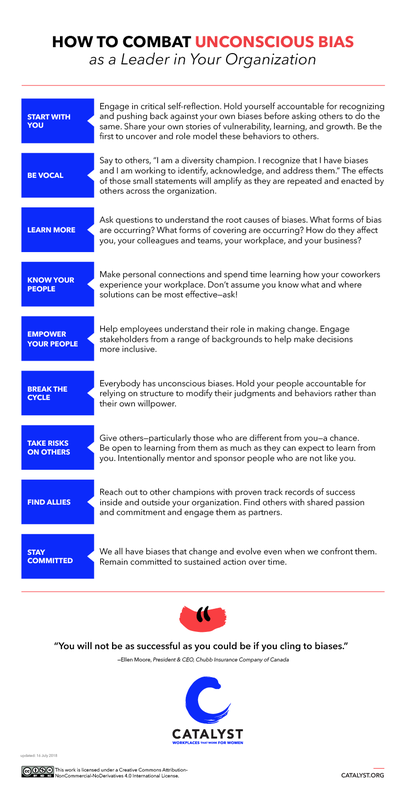 How to Combat Unconscious Bias as a Leader in Your Organization. New York: Catalyst, December 11, 2014.